When you need to replace some or all of your teeth, a custom denture is one of the most efficient and affordable answers. With a traditional denture, your prosthesis rests on top of the gums to fill in open spaces that affect speech, aesthetics and functional needs. The acrylic around each tooth is made to match the surrounding soft tissues, allowing your appliance to look as natural as possible. Partials are a smaller type of denture that allows you to retain your healthy teeth without unnecessary extractions. 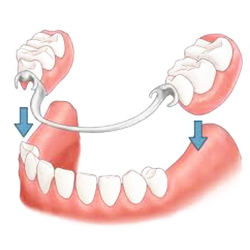 The appliance snaps into place around your existing smile, only replacing the specific teeth that are missing. As such, partials take up less room in your mouth because your neighbouring teeth help to stabilise it. Your new partial can be made of acrylic or with a metal base, depending on your preferences and the teeth that are being replaced. 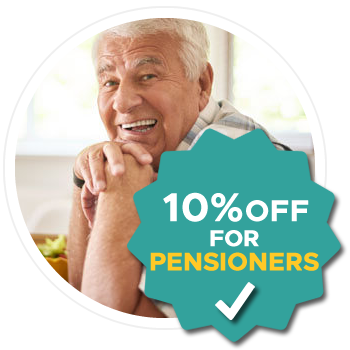 If you’re planning to have your remaining teeth extracted and need to replace all of them at one time, a full denture is one of the best treatments to consider. The “plate” rests across the entire arch, covering the gums and supporting a set of custom-designed acrylic teeth on top of the pink base. If you prefer a permanent or stabilised denture design, we can incorporate the use of dental implants to offer added security and a more comfortable fit. Depending on the type of supported denture that you choose, your prosthesis may be removable or permanently anchored in place. 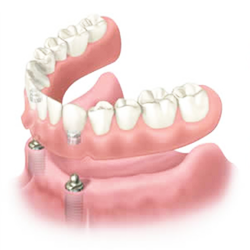 Anywhere from 2-4 dental implants can be used to stabilise or support a full arch denture. 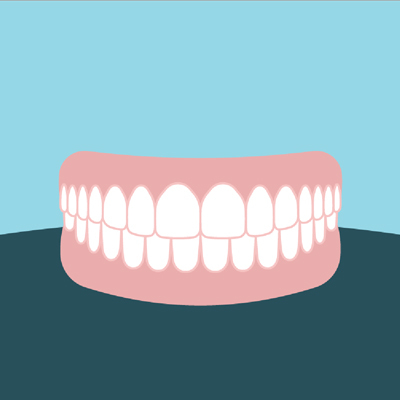 Removable overdentures snap into place and are taken out at night, much like a regular denture. Permanently supported dentures are more of a streamlined, extended dental bridge that follows the natural curvature of your smile. The better you care for your denture, the longer it will last. Proper cleaning and storage are crucial to keeping your mouth healthy and free of infection. Plus, it keeps your denture structurally safe so that it fits properly. Excessive wear can cause your bone to shrink down prematurely, resulting in an ill-fitting appliance that needs to be replaced more frequently. Our office offers flexible scheduling seven days a week. Need a denture repair or reline? Contact us today!